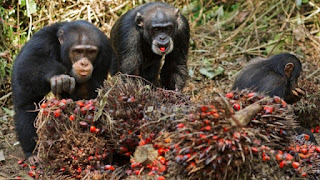 cryptonaut-in-exile: Chimps drink fermented palm sap to party? Yeah they do! 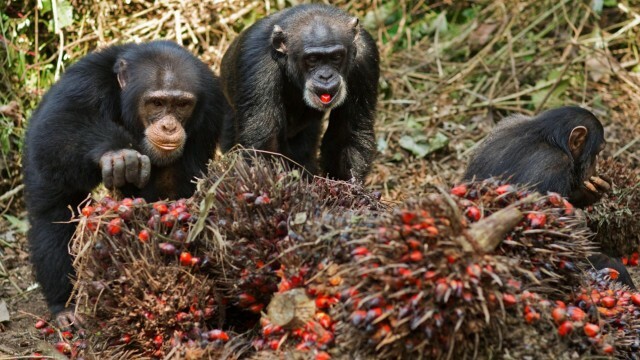 Chimps drink fermented palm sap to party? Yeah they do! The boozing starts from 7am. Though large amounts are often drunk, the sessions are orderly, even sociable. A skinful later, and always before nightfall, enough is enough and they rest. They are the chimpanzees of Bossou, south-eastern Guinea, and their secret is finally out. With 17 years of evidence in hand, scientists have declared the troop the first wild chimpanzees to indulge in regular, habitual drinking.